MOSCOW, March 19. /TASS/. 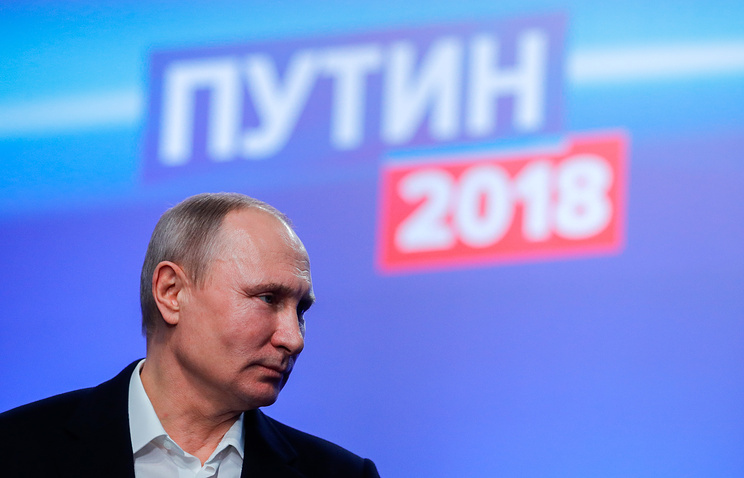 Russia’s incumbent head of state Vladimir Putin garnered 76.66% of the vote in the March 18 election with 99.84% of the ballots counted, the Central Election Commission said. Director of the Lenin State Farm Pavel Grudinin, nominated by the Communist Party of Russia, is second with 11.80% of the vote, while leader of the Liberal Democratic Party of Russia (LDPR) Vladimir Zhirinovsky is third with 5.66%. Voter turnout for the Russian presidential election reached 67.49%, according to preliminary data. 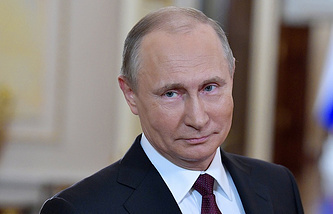 "[According to data] as of 10.45 a.m. Moscow Time, 73,432,312 people voted [in the Russian presidential election on March 18], the turnout reaches 67.49%," Bulayev said.